Don’t hide veggies. Tricking kids into eating food is not a good idea. Hidden veggies: should you trick your picky eaters to eat more veggies? You are an adult. On top of that, you are a parent. You are able to take appropriate decisions regarding yourself, your family and your kids – whatever these decisions are. 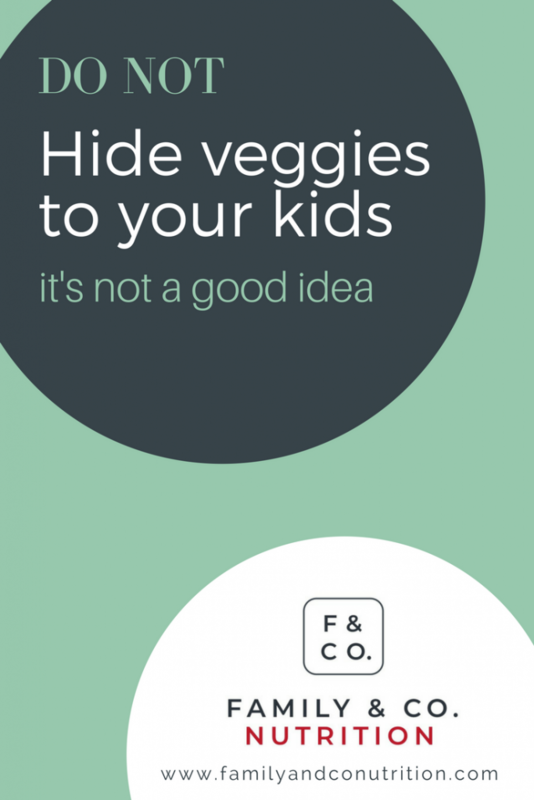 But if you are here and want our opinion about hiding veggies and tricking your kids into eating them without knowing, here it is: Not a good idea. Lies beget more lies. Don’t hide veggies. 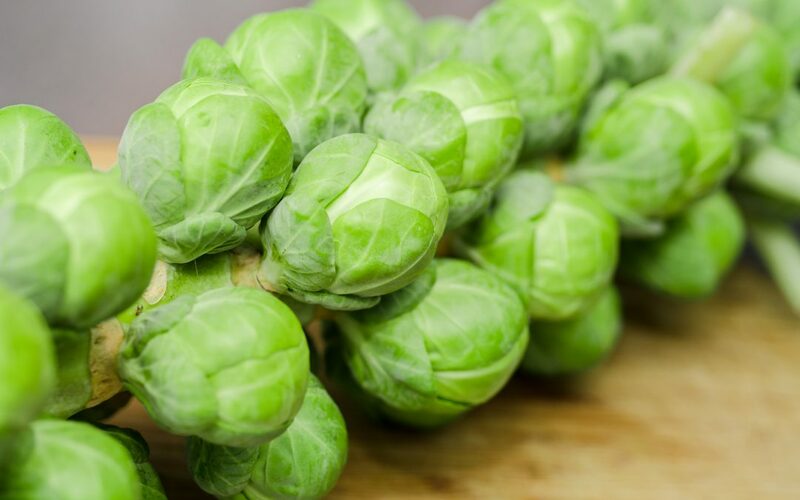 Just come clean: These are veggies and they are delicious! Who wants to be tricked? We would rather be exposed to the facts, and make an informed decision ourselves. We would feel valued, respected and trusted. We bet kids feel the same, even when they are young. Kids want to be treated like grown-ups that can be trusted with decisions. And this is true at the dinner table too. As parents of young eaters, your job is to expose them to a variety of healthy food (remember the golden rule?) so that they grow wanting to discover, taste and eat with appetite and pleasure. If you start hiding foods and lying about what you’re serving, it’s not reaching the desired effect. By all means, go and incorporate avocado in chocolate pudding, zuccini in bread, and beets in a cake… but disclose it to your child and explain to them how food is versatile and tasty in oh-so many ways! This way, they taste the versatility of food and ingredients. What is more cool for a child than beets in a cake? Or pineapple on a pizza? Versatility of food will inspire new recipes. That is right…this is not time for the good old “Do as I say, not as I do”. Kids learn by mimicking. And your are their favorite person to imitate. Beyond that, they trust your judgment. If you eat something (with pleasure that is! ), it indicates that it is safe and normal to eat. Serve yourself vegetables at all meals (see our healthy plate) even if somedays you eat only one bite… even if some days you eat only vegetables because they are so darn good! That is the behavior you want to encourage. Let them build a tower with mini cucumbers, spin green beans, or pinch corn kernels. 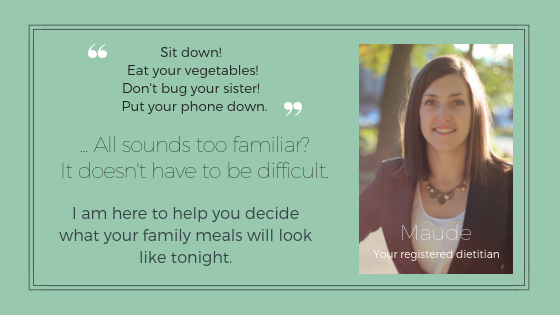 Playing in a different context than meal time can relieve the pressure as it is not about eating. 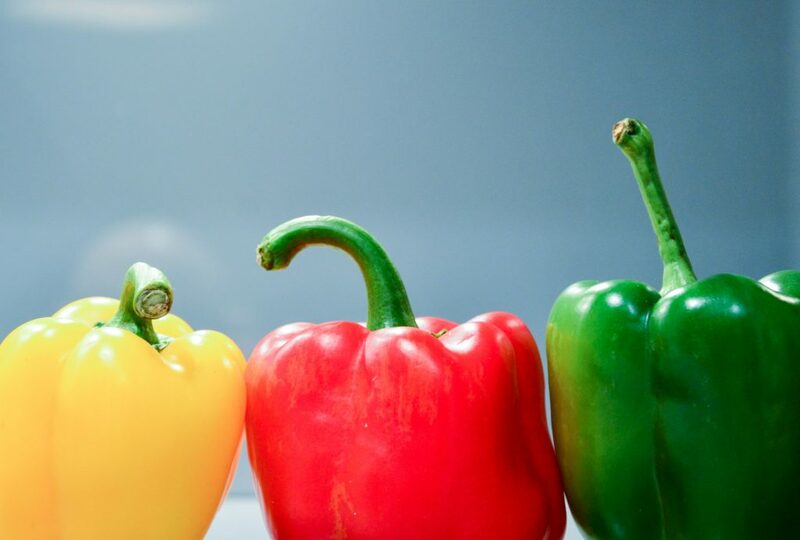 Naming the colors of various veggies, talking about their shape and textures, and even reading books about veggies are all excellent strategies to get kids familiar with them. Novelty is intriguing. On the opposite, even the favorite food served everyday will become boring and unappetizing. So mix it up! Pick new vegetables at the grocery store, google how to cook it up and get inspired to try new veggies cooked in new ways. Rotate in the mix some of your family’s favorite veggies, as well as ones that you aren’t fans of. Kids need repeated exposure to food items to get familiar, tempted to try it out, and finally becoming a fan. And we mean exposed 10-20 times…Patience and persistence are your friends! that gives everyone the chance to eat at least one veggie they like. Granted, it is more work, but if you do meal prep, you can plan for it and cook for it. Instead of serving all the broccoli on Monday and all the Swiss chard on Tuesday, you offer both on both days. It could also be some crudités you have in the fridge served as an appetizer or in the middle of the table while food is being prepared. The idea is that variety brings choice. Do not force them to eat (anything). Put it on their plate. Let it go. Repeat. You read this correctly. Once the meal is on the table, your job is done. But the hardest is to come. Don’t comment on the What, How and If. Don’t ask them to eat one more bite, or to finish to their veggies please… nope. Concentrate on your plate. Let it all go. It will be more enjoyable for you, for them, for everyone. Oh, and everyone gets to eat dessert. 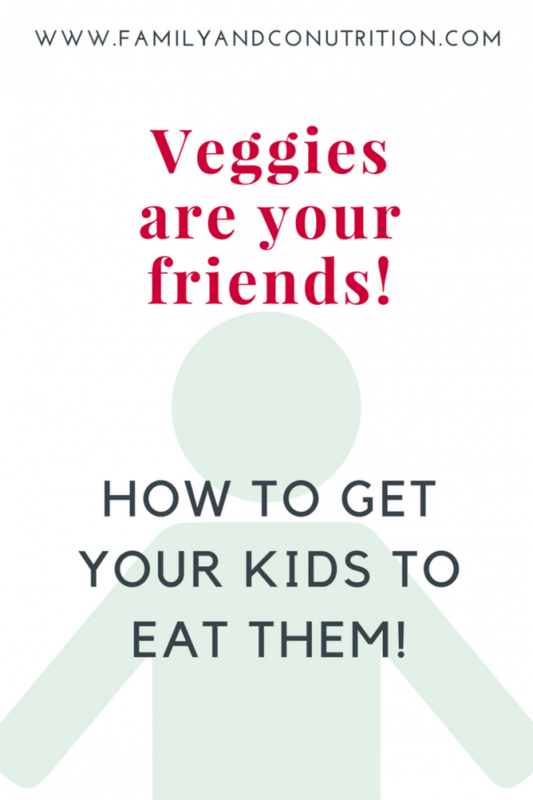 Even if they haven’t touched their veggies. What is your family’s best recipes? What are your best strategies to get your kids interested in veggies and other new foods?